Fred Rothwell's Long Distance Information: Chuck Berry's Recorded Legacy (Music Mentor Books, 2001) is the ultimate book for any serious Chuck Berry record collector: All Berry sessions, all the songs, all the session musicians, where to find which song if ever released, and tons of additional stuff. First published in 2001 the book consists mainly of a 240 page commented "sessionography", a list of 93 recording sessions Chuck participated in between 1954 and 2000. For each session Fred lists the musicians and the songs recorded, whether released or not. For every song he shows a few main records containing it. He also fully describes and criticizes every recording. Since 2001 there have been several additional releases of old songs which Fred obviously could not list by then, but there have been very few discoveries of Berry recordings published before 2001 but not listed in Fred's book. Therefore it was kind of a sensation when Morten Reff a few weeks ago found an unknown, unlisted Chuck Berry recording - on vinyl, from 1977!!! Morten Reff is the author of the famous book series "The Chuck Berry International Directory" (Music Mentor Books, 2008) which is the other ultimate book for any Chuck Berry record collector. For details on the book series which documents and describes all Chuck Berry records ever released world-wide, read the Chuck Berry Bibliography on this site. The recording Morten found is a complete song, studio-recorded with full band and the typical Berry intro. 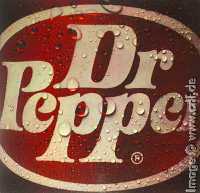 This untitled song is a commercial for the Dr. Pepper softdrink and has been used in radio ads along with similar recordings from other artists. The ads and corresponding interviews have been distributed on an LP to the radio stations just like other radio spots in the 1960s and 1970s. For details on Berry-related radio albums, read the chapter on Radio Show and Promotional Records. The album "Sights and Sounds of Dr. Pepper" (no label, no number) has a red-label and a blue-label side. The red-label side has 60-seconds radio commercials by Chuck Berry (actually 1:11 minutes), Lynn Anderson, The Mills Brothers, B. B. King, Hank Snow, Teresa Brewer, Dana Valery, and Gladys Knight & The Pips as well as six soundtracks to TV commercials. All artists sing the same lyrics, though in their own specific style, Chuck Berry in his. The blue-label side starts with a 1:38 minute interview with Berry followed by the same song as on the red-label side, though this time starting with a countdown. The rest of the album is filled with interviews and songs by the other artists. During the interview Berry talks about who influenced him (Nat Cole, Glenn Miller), what contributed to his success as a super rock-star, and about the taste of Dr. Pepper. Congratulations to Morten Reff for this great find! Further edit: Both interview and song were included in Bear Family's 16 CD set of Berry recordings. This weblog is an addition to my Chuck Berry fansite called "A Collector's Guide to the Music of Chuck Berry" which describes all books and records of interest to everyone enjoying Chuck Berry's music. Dietmar Rudolph about Where have we heard this interview before? Amazing research. Thank you ve ry much. do a printed version exists so mewhere? Dietmar Rudolph about Variations of the CHUCK album? Fred has written a great revie w which you will read here soo n.
Jean Million about Variations of the CHUCK album? No part of this document may be used or published without written consent by the author. To contact the authors, email to cbguide@crlf.de.